Take $15 off by signing up early! Pointe class: Enrollment must be approved by the instructor. 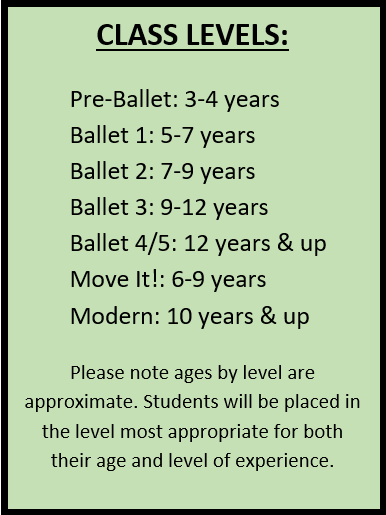 Students must also take the Tues/Thurs Ballet 4/5 technique classes (in addition to the pointe classes) to participate. Pointe shoes required unless otherwise specified by instructor. Click on the button below to fill out the CSBA Summer 2019 Registration Form. Once we have received your submission, your child's place in the class(es) of your choice will be held. Please note that class placement is subject to availability. If there is any issue regarding your class choices, you will be notified immediately. When your class placement is confirmed, an invoice via PayPal will be sent to the email address you provide.